When we first posted news on the Spanish film Fin, we were unsure of it's actual plot, and now that we have a teaser we don't have much more. With a bit of a Lost vibe, it's about a group of friends on vacation who find a new natural order prevailing. 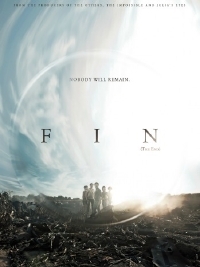 Fin is directed by Jorge Torregrossa (his feature length debut) with a script written by Sergio G. Sanchez (The Impossible, The Orphanage) and Jorge Guerricaechevarria (Cell 211) and stars Maribel Verdu (Pan's Labyrinth). It will be released in Spain on August 31st. looks like a 'quiet earth' variation. also, that is the worst title for googling ever.